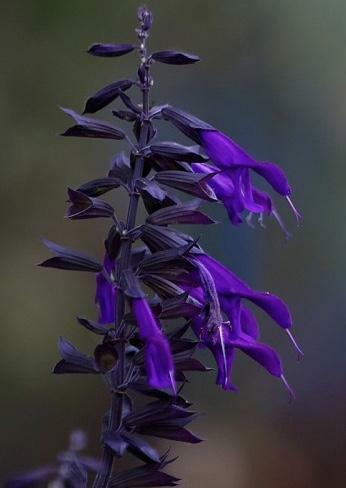 An amazing salvia flowering June to November. Rich velvety purple from even darker bracts. Strong upright habit, 1.2m tall. Sun and good drainage. Cut to ground in spring. Loved by bees.